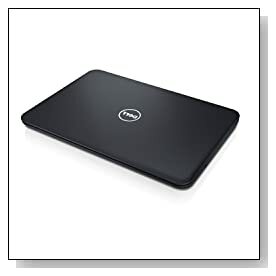 Black Dell Inspiron 15 i3531-3225BK is a sleek and compact 15 inch laptop that is capable of handling daily things smoothly with its quad core Pentium processor and good amount of memory, while offering you decent amount of storage space at an affordable- budget price. It has longer than normal battery life thanks to its low voltage CPU and features like spill-resistant keyboard and FastAccess Facial Recognition you would not expect on a budget laptop. Dell Inspiron 15 comes with the entry level quad core Intel Pentium N3530 processor at 2.16GHz base speed up to 2.58GHz with burst but without hyper threading- you won’t experience any speed issues in usual daily tasks, 4 GB Single Channel DDR3 SDRAM (4GBx1) at 1600MHz for easy multitasking, 500 GB hard drive at 5400 rpm rotating speed as adequate amount of storage for even hours of videos and music with fast enough read/write times, 64-bit Windows 8.1 operating system for an enhanced Windows 8 user experience with its additional and familiar features. Glossy finish 15 inch HD WLED backlit with Truelife non-touch display with higher contrast and high definition 1366x768 pixels screen resolution offers good enough picture quality with bright graphics and vivid colours at this level- resolution is not like Full HD and doesn’t have large viewing angles of an IPS display but you get your money’s worth here. Graphics card is the built-in Intel HD graphics. Both the CPU and GPU are good for daily multimedia and internet based tasks but not complex software or advanced games- you can play less demanding and older games like World of Warcraft easily at lower settings fluently. Sound is quite sufficient with the HD Audio enhanced with Wave MaxxAudio for when you’re listening to music or watching videos and it has a HD webcam with built-in microphone to chat easily on Skype or to take still photos. Black Dell Inspiron with textured lid and palm rest and matte finish weighs 5.3 pounds and has the measurements of 15 x 10 x 1 inches- highly portable as it is slim and lightweight- compact and can fit in a standard bag easily and with up to 6.25 hours of battery life from its 40 WHr 4-cell battery on a single charge you can be out and about longer. It has a comfortable non-backlit but spill-resistant keyboard with 10-key numpad for more convenient entry of numeric data. It doesn’t come with an optical drive but 802.11bgn wireless- Dell Wireless 1506, Gigabit Ethernet with RJ-45, Bluetooth 4.0, 2 x USB 2.0 ports to transfer files to external storage, 4-in-1 Media Card Reader to transfer multimedia from cameras, an HDMI 1.4 port to connect to an external HD monitor or your HDTV and FastAccess Facial Recognition. Conclusion: All Inspiron PC’s are tested for durability and reliability- keys, multimedia and power buttons, hinges, survival in severe heat, twist and turn and battery removal- tested for hundreds and thousands of times. Pentium N3530 CPU is capable of handling not so demanding daily tasks being an entry level processor, nice to see a spill-resistant keyboard to give you the peace of mind in case of spillage accidents on such a budget model, battery life is above average, there is no DVD drive but not many modern laptops have them these days and no USB 3.0 port but 2 x USB 2.0 ports instead as well as a good range of connectivity options. 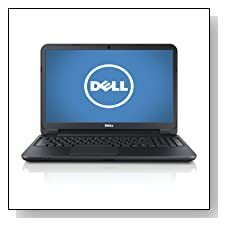 If you wish to purchase a laptop for surfing the net, word processing, watching movies and songs like the majority of customers and if you do not want to spend a lot then this Dell may be right for you. You get good enough performance with power efficiency- thermal design power of only 7.5 watts hence the longer battery life. It is offered with a 1 year Mail-in warranty, it comes pre-installed with 30 day trial versions of McAfee and Microsoft Office.